The PHSC has, over the years, published a number of print publications, and recently has begun publishing longer projects in electronic form. 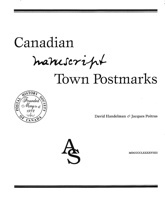 The superbly written 1970 typescript by Lt. Col. Webb resided unpublished at the National Postal Museum / Library and Archives Canada, from shortly after 1970 until November 2013, when the editors started to prepare this original pioneering work for publication. 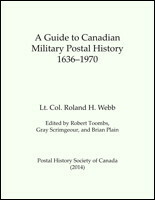 With almost no original text modification, the product is a definitive 555-page, illustrated, indexed, military postal history reference. A hard-bound printed black and white limited edition was made available for order in Spring 2015, and a short second printing was done in late 2018. The cost of the bound limited edition has been set at C$79.69 plus shipping. For more information, contact Gus Knierim. 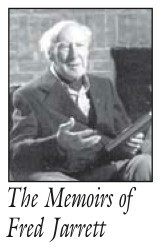 A downloadable electronic version, in colour, is available free of charge to PHSC members. For complete information about this publication, please consult the dedicated webpage. 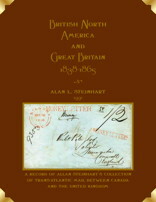 Begun in the 1970's, Steinhart's opus on the rates and routes of British North America and Canada has now been edited and brought to completion by Gray Scrimgeour. This will be the definitve work on the subject for a long time to come. A perfect-bound print edition of this book is now available for $39 plus shipping. For more information, contact Gus Knierim. Also available for download to PHSC members (2.34MB). A digitally remastered version of this Steinhart classic. 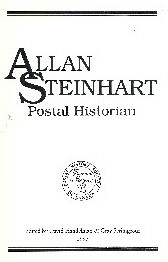 343 pages of transatlantic postal history to/from the UK. Available for download to PHSC members. Illustrated, hard cover, 216 pages. Available from Gus Knierim for C$45.69 plus postage. Available for download by PHSC members. 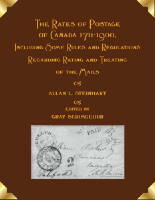 Published electronically by the PHSC. 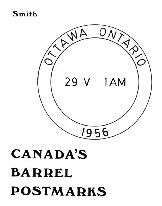 Available to PHSC members at the Barrel Rollers study group page. Loose-leaf in binder. 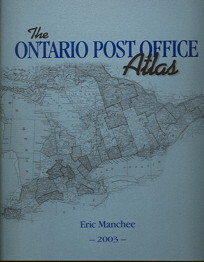 Extensive collection of high quality maps showing post office locations, organized by county. Available from Gus Knierim for C$30 plus shipping.